Details of five pilot schemes for changes to rural bus services will be announced at a ‘summit’ next week. The invitation-only meeting follows the ‘Big Conversation’ consultation earlier this year exploring options for delivering more sustainable transport to rural communities not currently served by commercial operators. 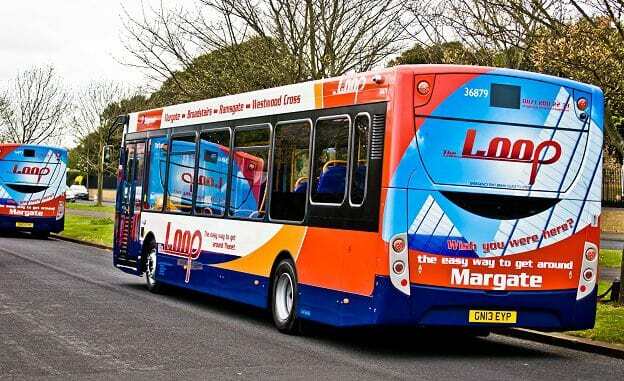 During the consultation three alternative plans for public transport were put forward in the face of impending cuts to bus services subsidised by Kent County Council. Replacing the subsidised bus service with a small bus or taxi that would be used to connect people living in rural areas with an existing commercial bus service. A small minibus would pick up passengers from villages and connect with bus maybe four times a day and do the same for the return journey. These services would run at fixed times. They would pick up and drop off passengers at fixed stops along the route. Passengers could wait on the feeder minibus or taxi for their connecting bus to arrive. Passengers could buy a ticket for the whole journey (feeder service and existing bus). A bookable bus service would collect passengers from chosen points and take them to a range of places in a set area. This could be from a pick up point or from the passenger’s home. Passengers would make a booking by telephone or on the internet. They would say where they want to go and would be told when they could be picked up for their journey. Bookings could be made 7 days, 1 day or hours before the journey. Journeys would be shared with other passengers to make them as efficient as possible. Passengers would need to be flexible with the time and length of their journey. Passengers would need to allow more time to travel to fixed time appointments e.g. doctor’s appointment. There could be a taxi-bus service using a smaller vehicle, such as 7-seater car or minibus. The taxi-bus would run at fixed times and to a fixed route. It would stop at fixed stops along the route. This would not be on a fixed route so can provide more journey opportunities however journeys could take longer. Passengers would need to book in advance. The amount passengers pay for their journey depends on where they are going (just like an existing bus). The options would mean passengers paying for their route – bus passes would not be valid for minibus/taxi services. The Big Conversation consultation ran for eight weeks up until August 8 and included 12 public meetings in each Kent district. The events were attended by 621 people and KCC received 2,335 responses to the consultation questionnaire. The summit will include details of consultation responses, details of five pilot schemes and how they were developed and what the next steps will be. Most of KCC’s bus subsidy budget is spent in school transport and bus passes with only £7m out of £64.2m allocated by KCC for PSV support. I don’t remember anything about pay as you go on any of these pilot project ideas and had I been invited to the ‘Big Conversation’ meeting next week I would raise the matter. As it is I doubt even the so called commercial services would be sustainable without the bus pass income and ridership would plummet accordingly.Bus ridership is falling year on year and is less than half of amount at its peak reached in the middle of the 1950’s. I suspect the school bus budget will be looked at for savings in due course as it accounts for £39.5m last year. The bus pass system does help KCC in ways they may not imagine, because it allows senior citizens who may be housebound to get out and there is a proven link between isolation, loneliness and higher A+E visits ,poorer health and increased social care requirements. This is also where green spaces and public toilet provision may also affect the social interaction of older people.The scatter gun approach to budget management sometimes has upstream costs elsewhere in the system. Fully agree with above. When I was a child little country buses went everywhere, even an afternoon out in the country on the bus was a treat. In fact you could travel from Thanet, change at Canterbury and travel around the coast to Brighton and onward into Devon . Ah but we all have cars nowadays …. So much for not polluting and climate change. Hard luck if you’re too old to drive ,can’t afford a car or too young to drive.If governments put more into public transport how much more efficient it would be . Penalise car usage with fuel duty, VED and big parking fees/fines. Use the revenue so raised to subsidise rural bus routes. A spin off might be that people would stop using their (expensive) cars, and start using the ( cheaper) buses. It’s disgraceful the way car users are favoured by the government while public transport is continually neglected and made more expensive and scarcer. If the government is serious about environmental issues it should start with practical measures to reduce car use. Improving public transport is the obvious place to start.